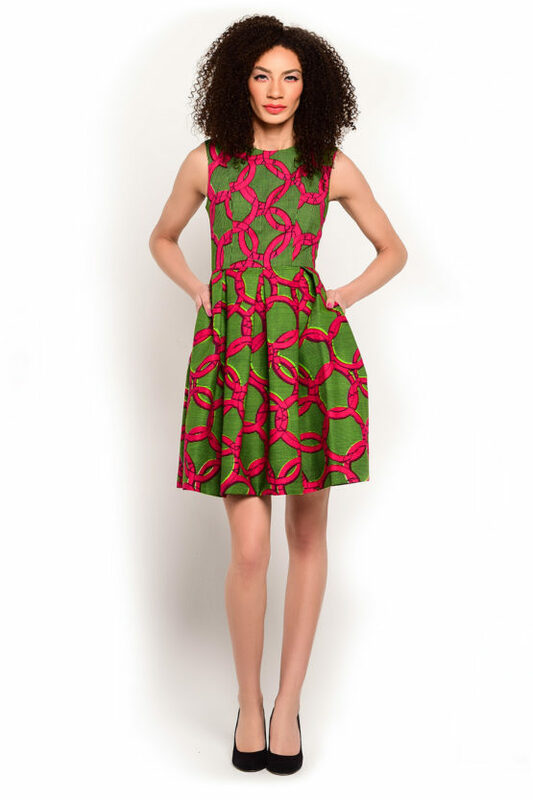 African patterns – This Ankara print dress is one of our best sellers. It has a fit & flare silhouette that is so flattering on any body shape. It is fully lined with deep pleats at the waist to give dramatic fullness at the hem, and guess what? this dress is named after our designer. And it has side pockets yes pockets. 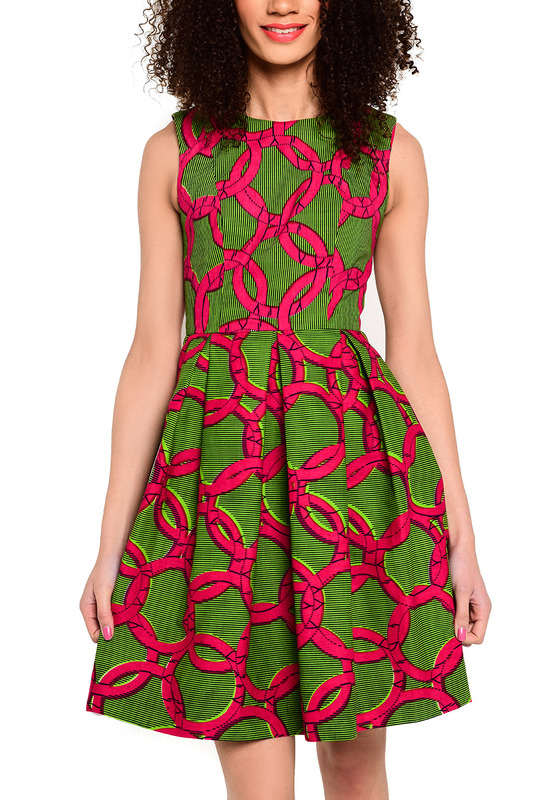 we love dresses with pockets.